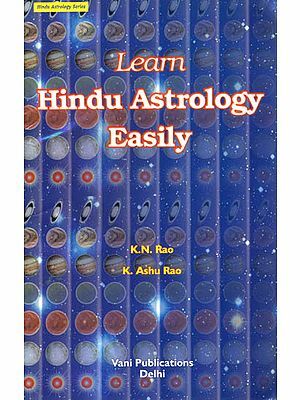 The lessons given in this book in simple and understandable language bring the knowledge of Astrology witin easy grasp of the reader. It meets a longfelt need for a dependable self-instructor which takes the students up the ladder step by step untill they are able to decipher the future with ease and understnading. 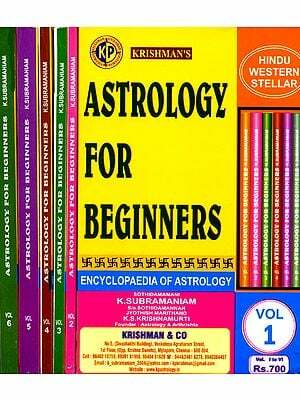 Learn astrology and you will always ne Popular and in demand. 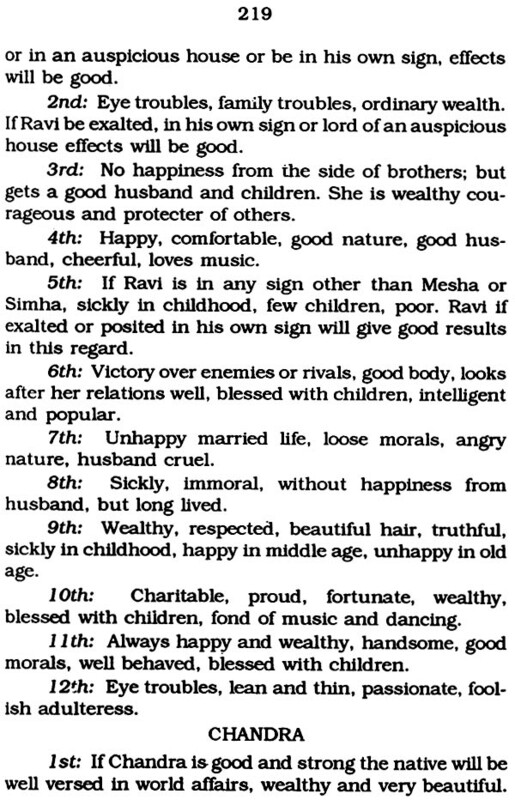 Easiest method to caste horoscope and decipher the future. A handy and self-sufficient book written by a renowned autor with years of parctical andinstrutional experience. 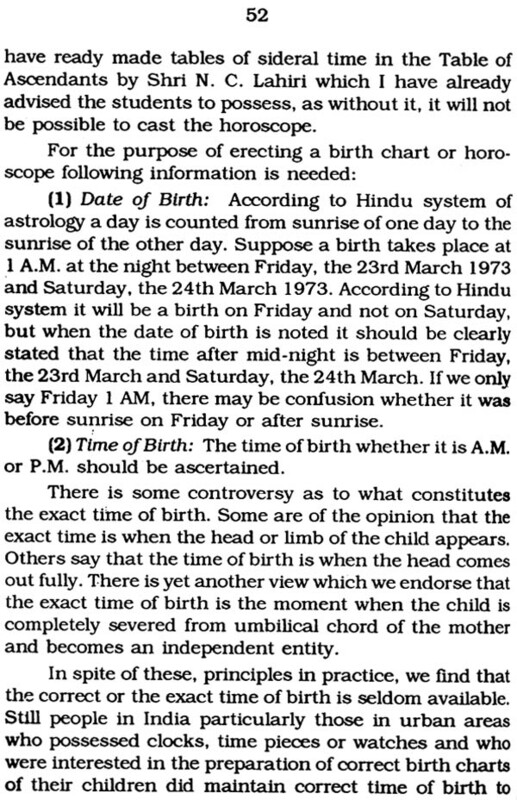 Before we explain what is Astrology or Jyotish we must make it quite clear to the students that astrology is not and art of fortune – telling as understood. It is on the other hand as much an exact science like physics or chemistry. In fact it is a divine science which has come to us as a gift from the gods. 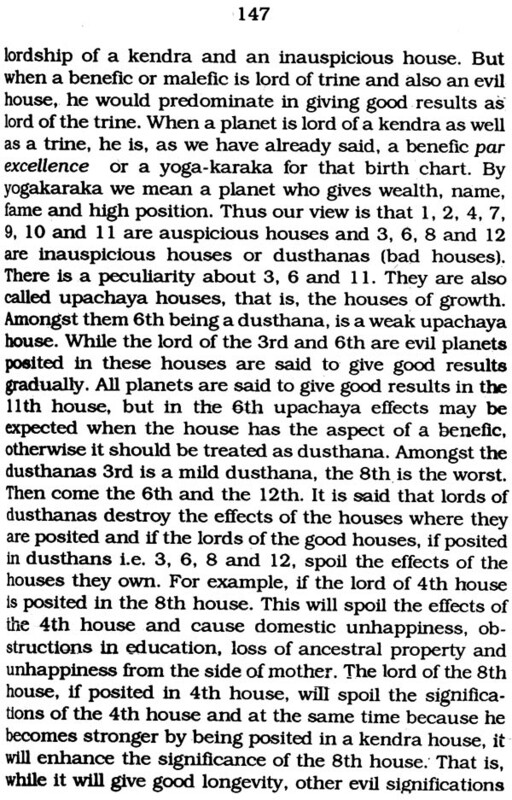 In the ancient India our sages had developed by their untiring spiritual exercises a divine eye (Divya drishti) by which they could see the movements of planets and their effects on human beings. 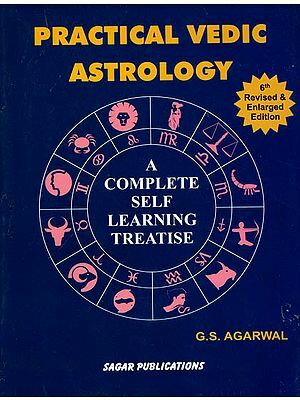 In those days of the past, astrology was a subject which all disciples of a Guru had to learn and it is through this media of instruction that it has come down to us. 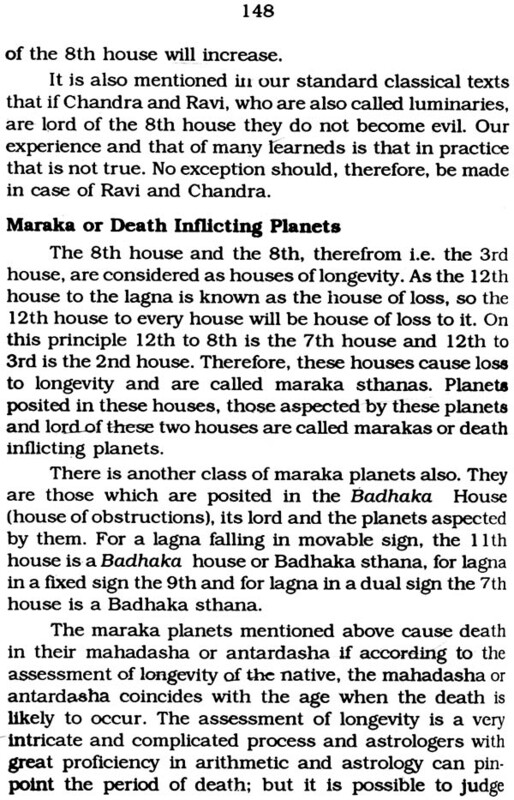 Astrology is a branch of Veda (Vedanga) with the aid of which it is possible to know about all the past and future events by considering the position of lagna and planets at birth or at the time of putting a query. 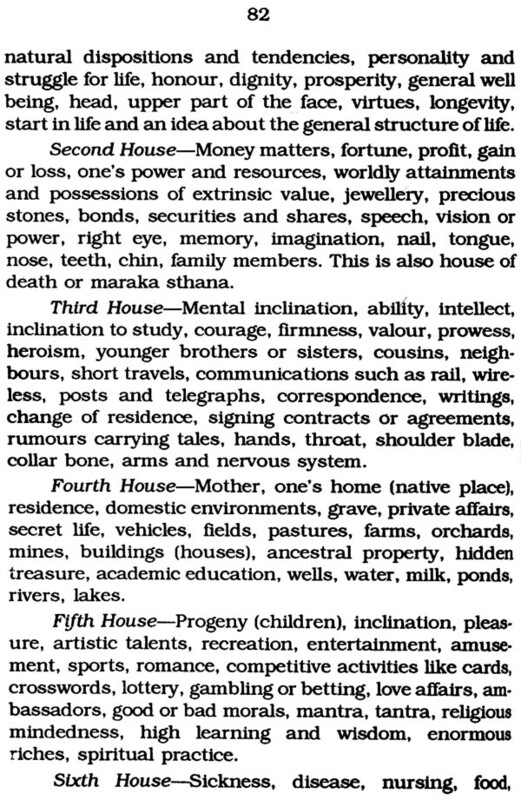 Astrology has three broad divisions, namely: Siddhanta, Samhita and Hora. 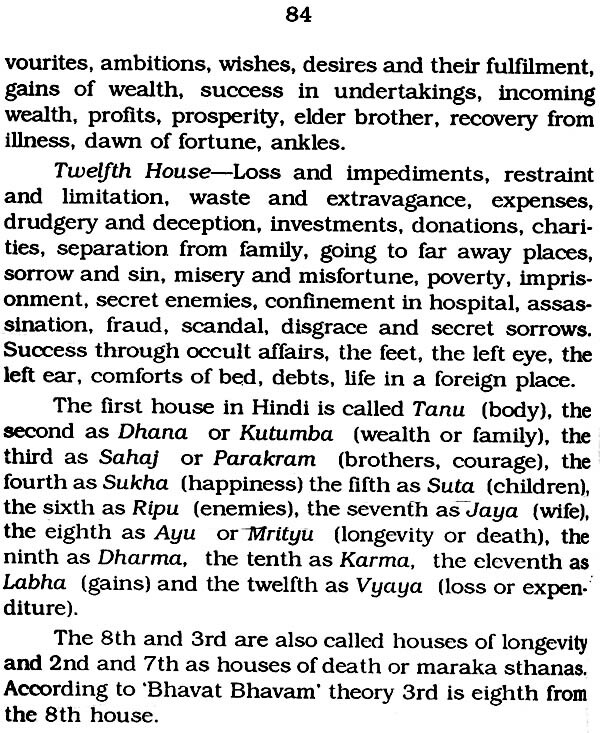 Siddhanta deals with the astronomical side of the science, Samhita with the world events and Hora with horoscopy of human and animate objects. According to tradition, our sages who, with the strength of their spiritual powers, were able to have direct contact with our creator Lord Brahma, were initiated by the Lord into divine science. 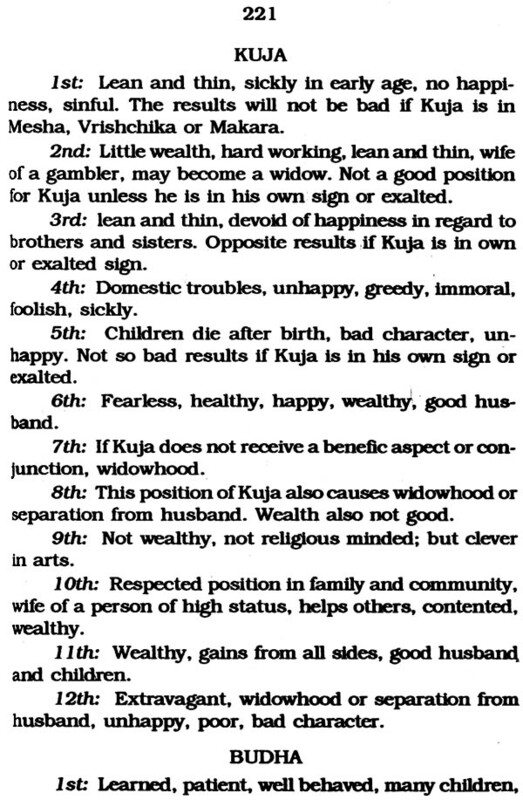 Then the sages propagated these for the benefit of humanity. 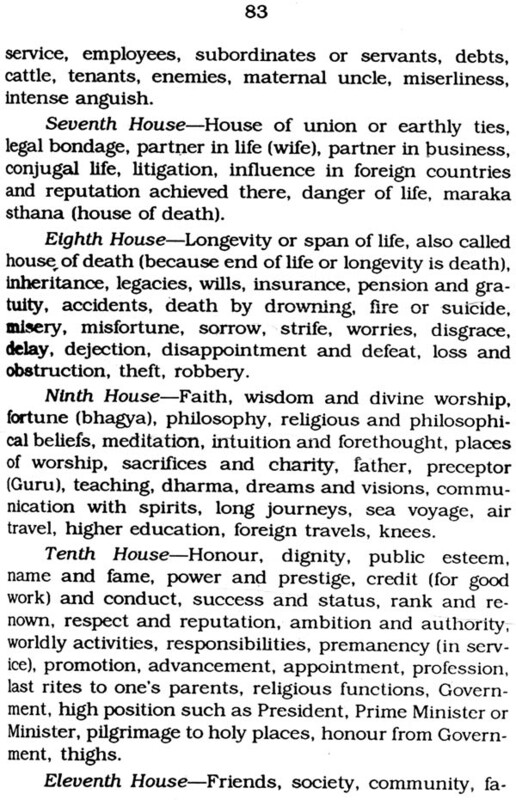 What at present we have in our Hindu astrology we owe entirely to those sages and the principles laid down by them still hold good as they were when they came from the mouths of those sages. It will be worthwhile for those who want to enter this divine field, to know the names of those great men who put these principles in writing for the benefit of others. They are Varahamihira, Kalidasa, Varunchi, Vashista, Vyas, Parashara, Venkatesa, kashyap, Neelkantha, Jayadeva, Ganapathi, Satyacharya, Manitha, Jeeva Sharma, Bhaskaracharya, Aryabhatta and many others. 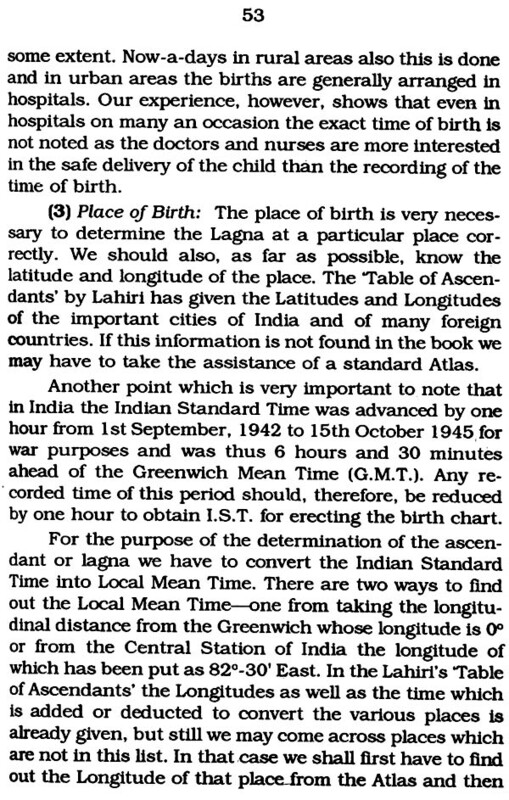 Though when our country lost its independence there was a kind of black out of this divine science; but the science did not die and went on flourishing and we now see today that except those who just for the sake of saying say that astrology is a great bluff, there is hardly any body who does not (though sometimes not openly) believe in this science and seeks its assistance, particularly when he is in distress. 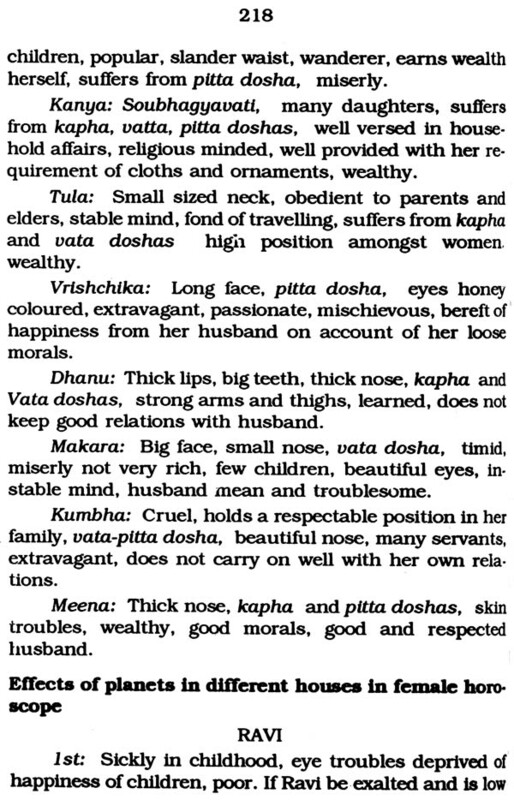 ko vakta tartamyasya Vedhsam vina. We have stated this at length so that the students who are anxious to learn this great and divine science, whether as a hobby or for profession purposes should not take it as a joke or fun. 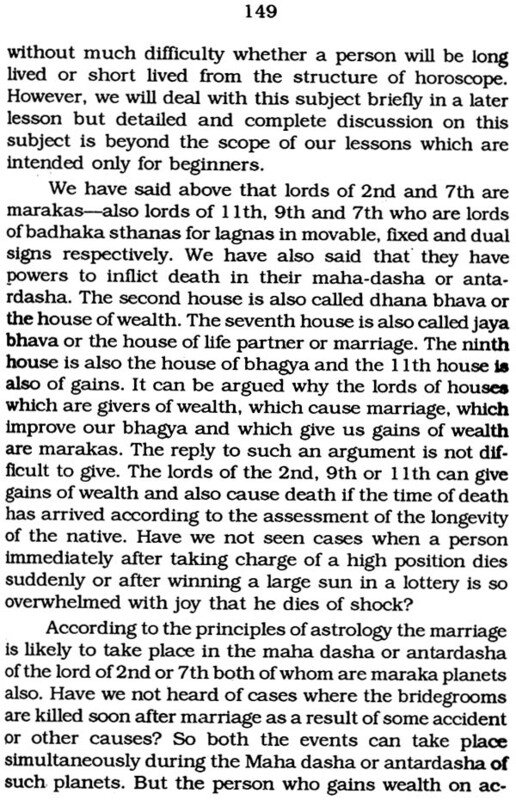 They should also be clear that the lessons which will be given by us are not sufficient to make them a great Pandit in astrology. 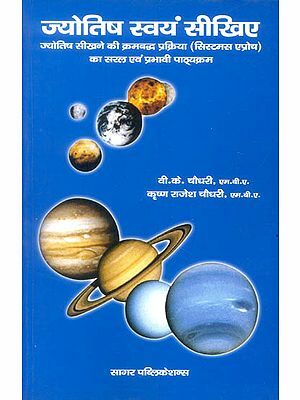 These lessons are aimed only to give them a complete grounding in the principles of Hindu astrology and with that strong base (if they make it so by their sincere and serious study of the lessons) they could plunge further into this field and advance their knowledge by study of the classical texts available in the market and by research and practical experience. 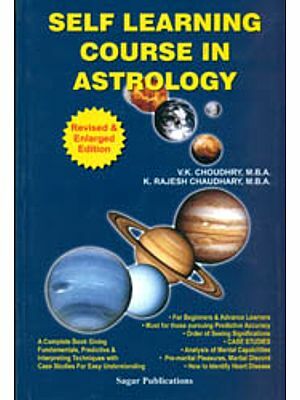 Astrology is a wide ocean and one can spend his life in studying it and yet he would be far away from the perfectness but a sincere and serious attention to our lessons will undoubtedly make them able to cast and read a birth chart – the limit of accuracy depending on their intelligence, insight, intuitive capacity, sincerety and lastly the grace of God. 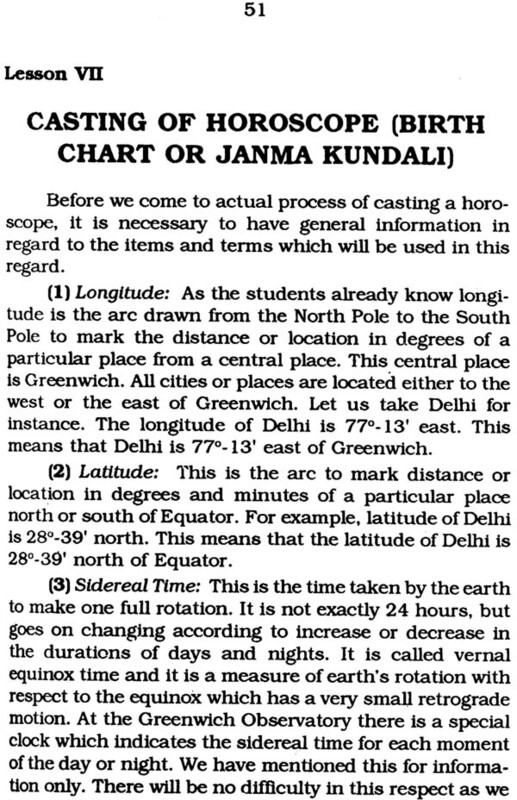 We will advise the students that since it will be our effort to make these lessons self- sufficient, they should not, to avoid confusion in their minds during the period they are on the course, study any book on astrology except those recommended by us later in this ‘Introduction’. We also must emphasize that as Astrology is a divine science we must study it with a pious mind and with faith and always start after offering prayers to god Ganapathi – the god of Knowledge and after paying homage to your preceptor (guru). If you have no faith in what you have to learn – your studies will prove fruitless. 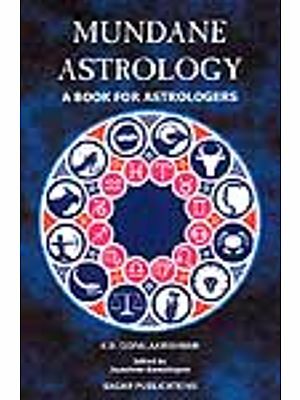 One should, while learning astrology, have faith in it and one who goes to consult an astrologer should go with faith in him. This we must emphasize again and again. In this connection for the benefit of the students we will point out what the Great Varahamihira in his monumental work Brihat Samhita said about the qualities one should possess to become a good astrologer. 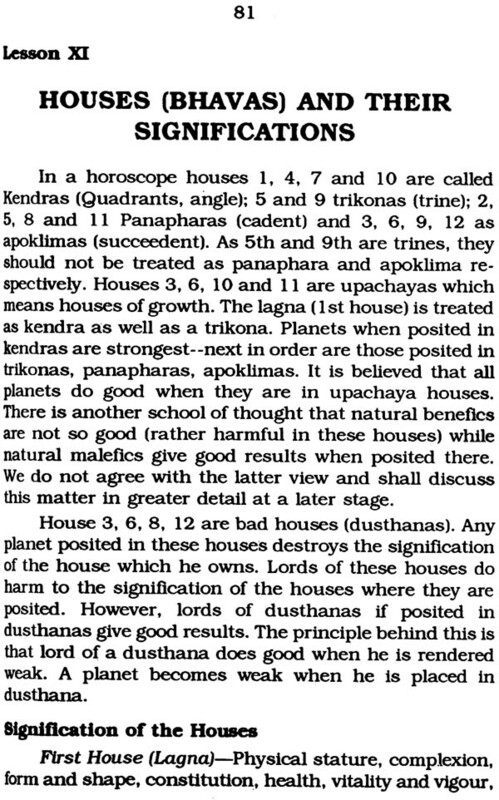 He said, “The astrologer should be good looking with well proportioned, undeformed limbs, must be able to explain questions put by others, should worship the devas, observe fast and penance, should be thoroughly trained in calculations of the positions of planets, and well-versed with works on astrology….” Now we should not linger on any more with the introduction and come to our course of instructions which begin with the next lesson. We recommend to the students to begin with the following books: (1) Lahiri’s ‘Tables of Ascendants’. 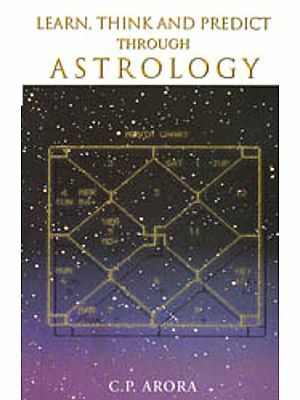 This book is available with all booksellers who sell books on Astrology. 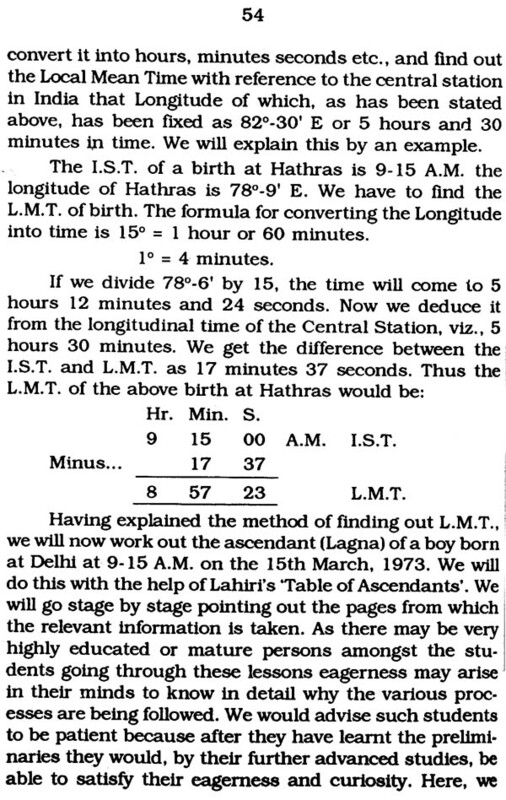 (2) Lahiri’s ‘Indian Ephemeris’ for 1973 or the current one available- These books will be required for casting the horoscope and finding out the position and longitude of planets etc. 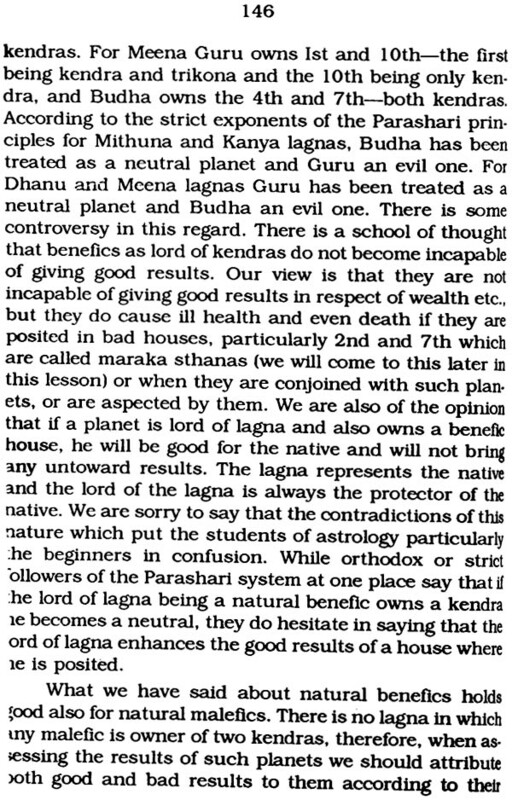 We will not deal in our lessons with the casting of a horoscope with the help of a Panchanga as our experience has shown that for casting the horoscope, Lahiri’s Tables of Ascendants’ and Lahiri’s ‘Ephemeris’ are not only easier but are more scientific and give more accurate results. 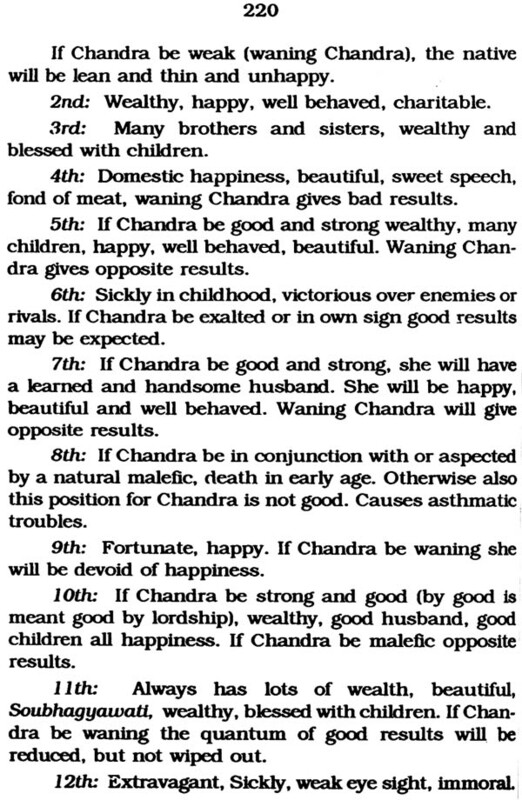 The panchanga method is not wrong; but no two panchangas are similar and, therefore, they could lead to errors in casting the horoscope. Now we give our blessings to our students and we pray to the Lord Ganapathi that the lessons which they will hereafter have occasion to read and study may bestow them knowledge they are anxious to gain.